Looking for the best hair transplant clinic in Malaysia for your hair loss treatment? Check out the reviews, prices and recommendations below. While there are many methods for hair transplant, the FUE (follicular unit extraction) hair transplant is the most popular method in 2018. FUE hair transplant, or follicular unit extraction (FUE) hair transplant, is a minimally invasive method used to harvest and transplant hair. The treatment removes individual follicular units directly from your scalp, which are then replanted into the required site of the scalp. We have searched around the internet and filtered out the junks out there. We have summarised essential information and provided some relevant links in order to facilitate your research for 'hair transplant Malaysia' in one place. Do go through them and do your own research and hopefully, you will be getting the best qualified doctor for your hair transplant procedure in Malaysia. 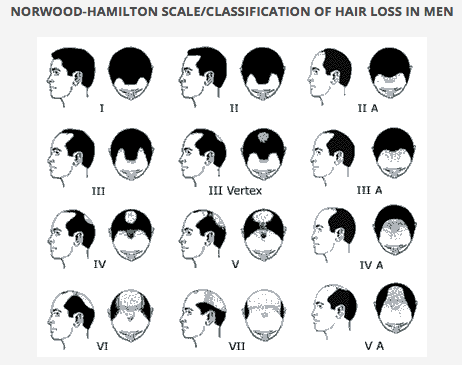 Hair restoration starts with knowing the type and severity of hair loss. We use the Norwood-Hamilton classification scale for males (refer to the image above). In general, if you fall under grade VI (6) or above, FUE hair transplant is not for you. 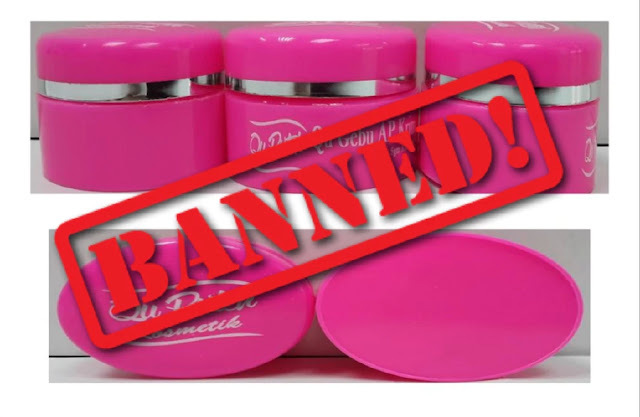 Please be informed that only qualified dermatologists or plastic surgeons are allowed to perform hair transplant in Malaysia (Ref: Aesthetics Practice Guidelines in Malaysia). The FUE hair transplant cost may vary from centre to centre in Malaysia. The average is about RM 10 per graft, i.e. if you are going for 1000 grafts, it will cost you RM 10 x 1000 = RM 10,000. Dr Jas proposed FUE for 3000 follicles in one session and charges RM8 per follicle. Total cost RM24,000. To find a hair transplant clinic in Malaysia, check out our top best hair transplant clinic list below. The list of clinics has been categorised by location but has been arranged in no particular order. This is a licensed aesthetic and cosmetic surgery centre headed by a registered plastic surgeon. The clinic is located within the Subang Jaya Medical Centre (SJMC) complex. SJMC is a JCI (Joint Commission International) accredited hospital. Note: As hair transplant can only be performed by registered plastic surgeons or dermatologists as per the guidelines by the Ministry of Health. (Ref: Aesthetics Practice Guidelines in Malaysia). You can visit any of their 3 branches for consultation in Klang Valley. Seksyen 13, 46200 Petaling Jaya, Selangor Darul Ehsan, Malaysia. Address: Glomac Galeria Hartamas (B-G-05), Jalan 26A-70A, 50480 Kuala Lumpur, Federal Territory, Malaysia. Smart International Aesthetic at Glojas Health Clinic is a modern facility very much focused in Hair Restoration, Body Contouring, Aesthetics, Skin & Body Regenerative Medicine; and designed to bring the world's latest and finest medical treatments not only to Malaysia but internationally. 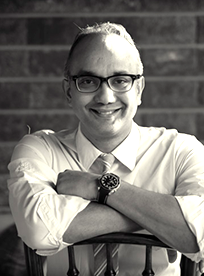 Dato' Dr. Jas G is Board Certified by the American Board of Hair Restoration Surgery (ABHRS) and also Letter of Credentialing and Privileging Aesthetic Medical Practice (LCP) holder acredited by the Ministry of Health Malaysia. 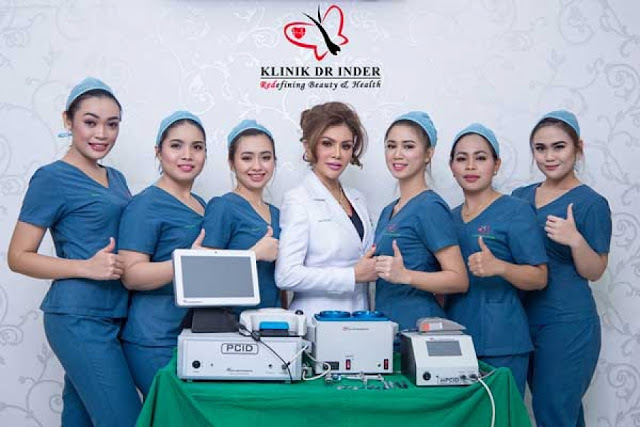 Dato Dr JasG is certified and carry many qualifications and have performed many successful procedures over the years. I would like to seek your advice. I am considering between Dr Ruban Nathan and Dato Dr Jasvinderr of Glojas Health Clinic, both in Malaysia. No 5, Jalan Bangsar Utama 1, 59000 Kuala Lumpur, Malaysia. At Dr Ruban's clinic, services include the full gamut of evidenced based General & interventional Dermatologic services for the Skin, Hair & Nails, using the latest in Laser & Light based technologies & recent advances in Hair Transplant Surgery. The practice of general Dermatology, treatment of infective diseases such as Leprosy & sexually transmitted diseases remains a core skill-set of this practice. I've just had a hair transplant completed at Dr Ruban's clinic in Kuala Lumpur. I have seen some people asking about transplant clinics in Asia and there haven't been any mentions of Malaysia so here goes. Hair loss is kinda common problem in Malaysia. But do you know what cause hair loss? Before that, let me introduce you a Skin & Hair expert you might consider in Klang Valley! Guys, no worries. If you are visit the clinic you might confuse to reach Dr Ruban’s clinic. But yes, this is the one at Menara UOA Bangsar. Well, here what I found out. I went to 3 different type of clinic. 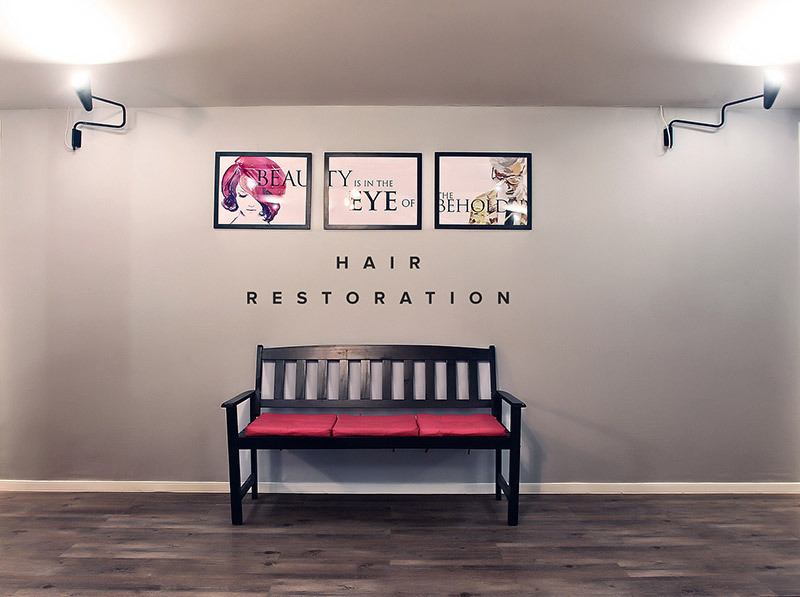 Dr Shah Hair clinic at Subang Jaya, Dr Ruben at Bangsar(lrt station) and Premier Clinic at Bangsar Village. I am trying to go to DHI clinic but they closed and never pick up my call. Sigh... Ok the review? Dr Shah : the cheapest I can get. RM8 per graph and they also give 4 free PRP. The bad side is, there is a lady doctor who I think is not well train to do the job. If you want to do it here, make sure you ask for Dr Shah to do it for you. Dr Ruben: consultant also need to pay. RM100 for bothing and summore recommend me and foRce me to buy propecia. Cost per graph is RM10. But goid thing is, he will bring his team from overseas if you want to do more than 1500 hair. Premier Clinic: only do hair implant. They dont do hair transplant. Means they put a fake hair on your head. You can't do many things with that fake hair even though it looks like original. With fake hair, it wont grow, you cant blow dry your hair with certain temp, cant go to sauna without cover your head, can't dye your hair, and it will start gradually to fall within 10 years. Then you have to do it again. And cost RM12 per graph. I dont like this clinic cause the coubter gurl approach me after consultation and trying to force me to pay the up front. Feels like Yun Nam. The PRP cost rm2000 per session. Bloody expensive. Then always said 'my customer from uk, from us bla bla bla'. No 1, Jalan Idaman 9/3, Nusajaya, Johor Bahru, Johor, 79100, Malaysia. DRS Medical Group also has two other branches in Subang Jaya and Kuantan. So, here you are. 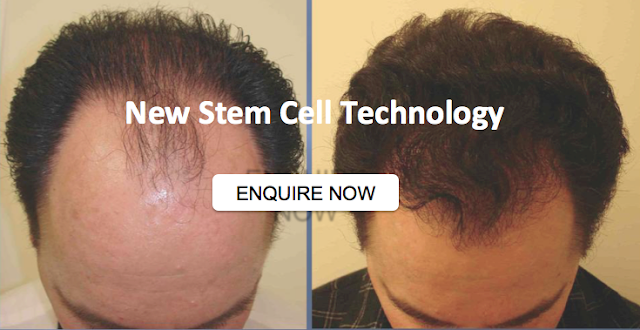 Hair transplant reviews and cost in Malaysia. If you looking for aesthetic clinics for dermal fillers, check out Dermal Filler Malaysia. To find aesthetic clinics in Malaysia, check out Best Aesthetic Clinics in Malaysia. If you need a recommendation from us and a FREE consultation, please submit the form below.